Guess what? The Volunteer Appreciation Month fun continues! Today’s celebration? 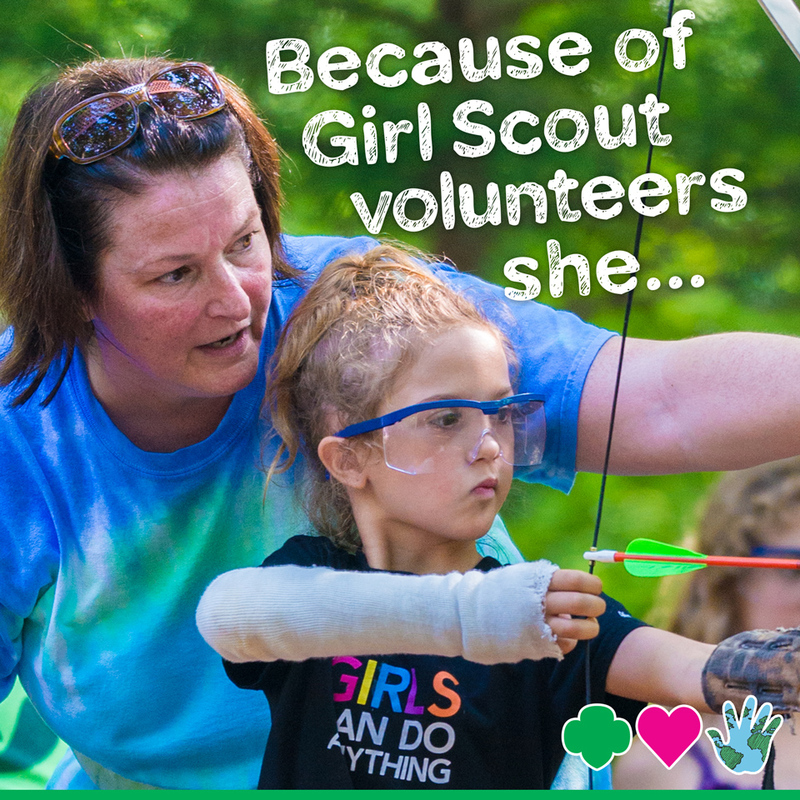 National Girl Scout Leader’s Day! 2. “She sold cookies. My daughter has dyspraxia of speech and didn’t speak at 3. At 6, as a cookie rookie this year, she had the confidence to sell 500+ boxes of cookies.” – Erin S.
7. “She’s able to see herself as more than ‘just a girl.’ Girl scouts has provided a way for girls to see that they’re the next generation of engineers, scientists, and foresters.” – Elizabeth M.
Happy National Girl Scout Leader’s Day! Previous Post Get Outdoors, Snap a Pic, and Be Part of Something Big!